Texas Live! 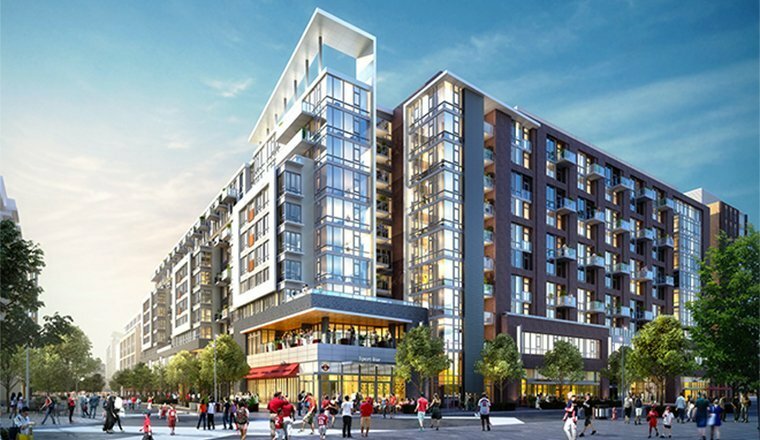 is a $250 million dining, entertainment and hospitality district being developed by Major League Baseball’s Texas Rangers, The Cordish Companies and the City of Arlington. 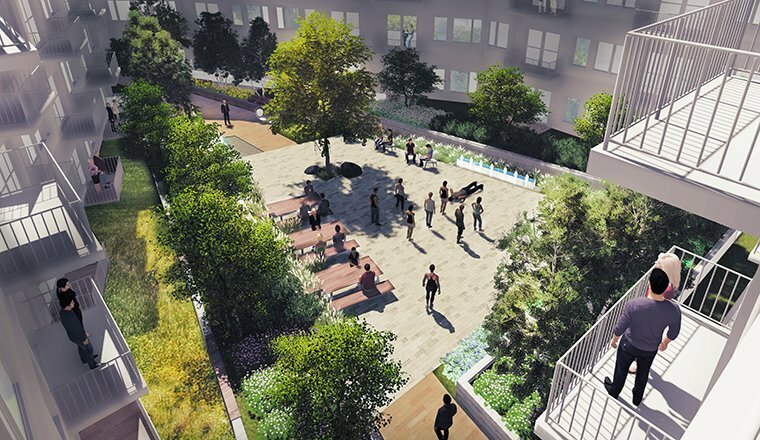 The District, which sits between Globe Life Park and AT&T Stadium, is expected to include 170,000 square feet of dining and entertainment, a 300+ room upscale convention hotel, 35,000 square feet of meeting and convention space as well as an outdoor event venue that can hold up to 4,000 people. 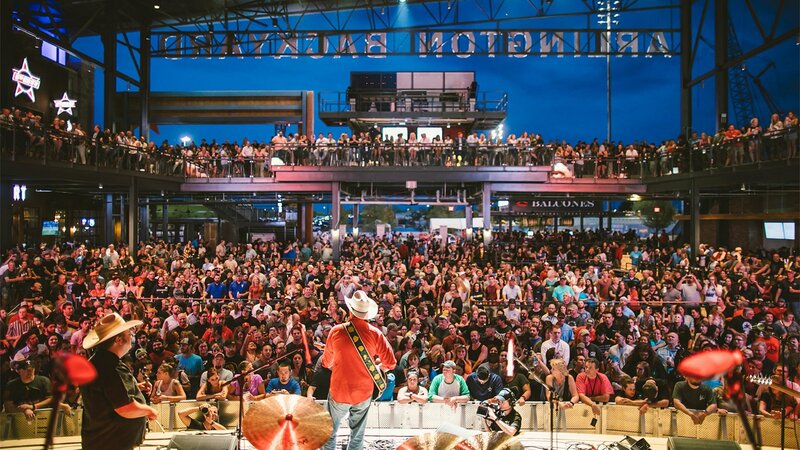 Texas Live! 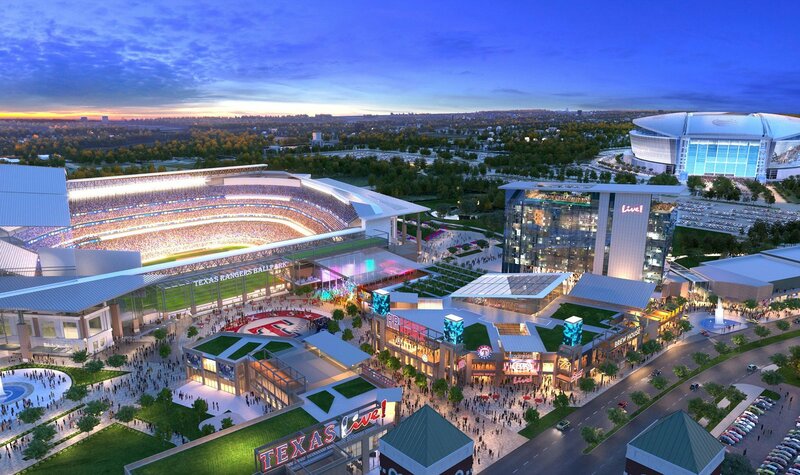 is part of a greater $4 billion vision for the Arlington Stadium District that includes the Rangers new $1.1 billion ballpark and the preservation of Globe Life Park. 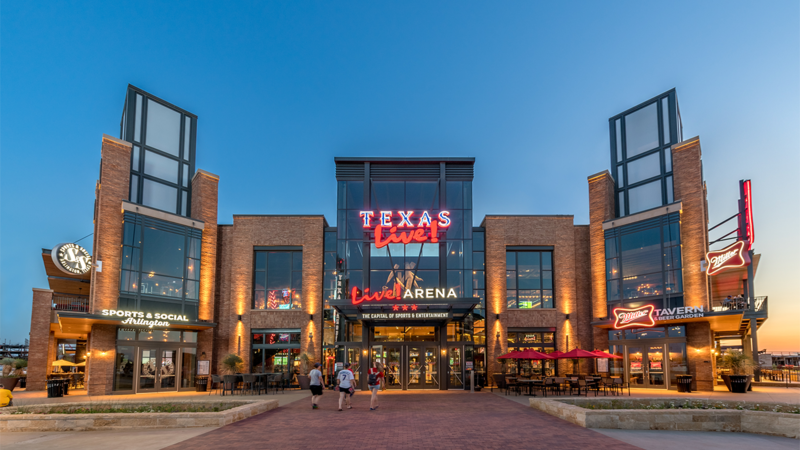 Hord Coplan Macht worked with the development team to design three major venues that will anchor the entertainment district: Rangers Republic, Live! Arena and Arlington Backyard. 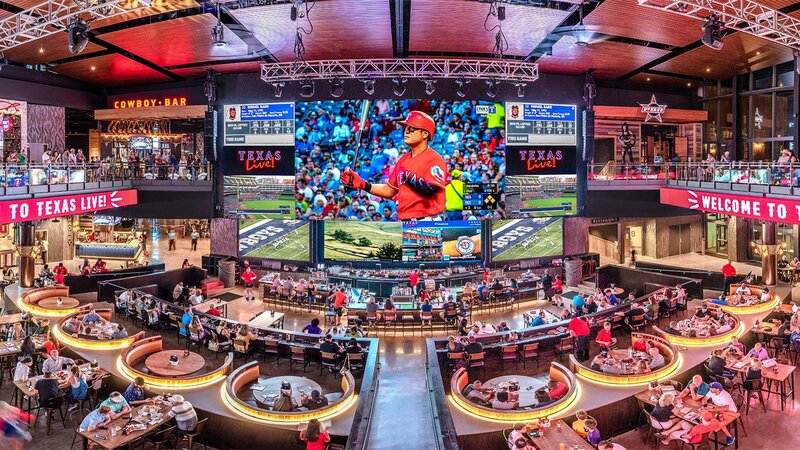 Rangers Republic is the “ultimate fan clubhouse” for Texas Rangers fans during home and away games and all year-round. 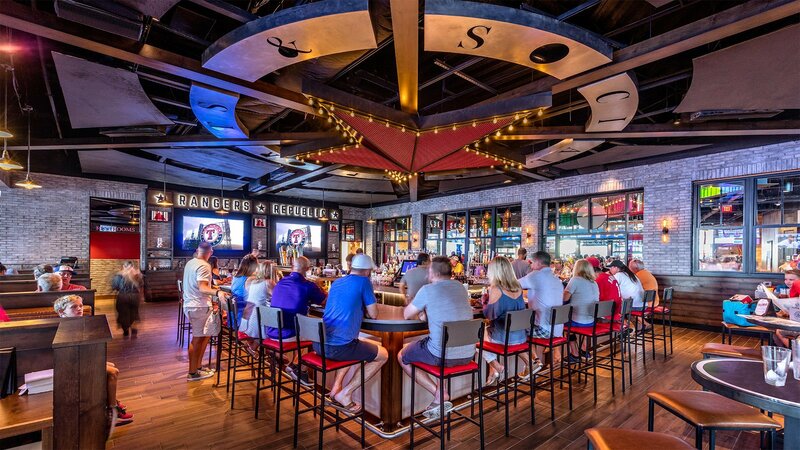 The two-level, 30,000 square foot family-friendly dining and entertainment venue includes authentic team memorabilia and history. Live! 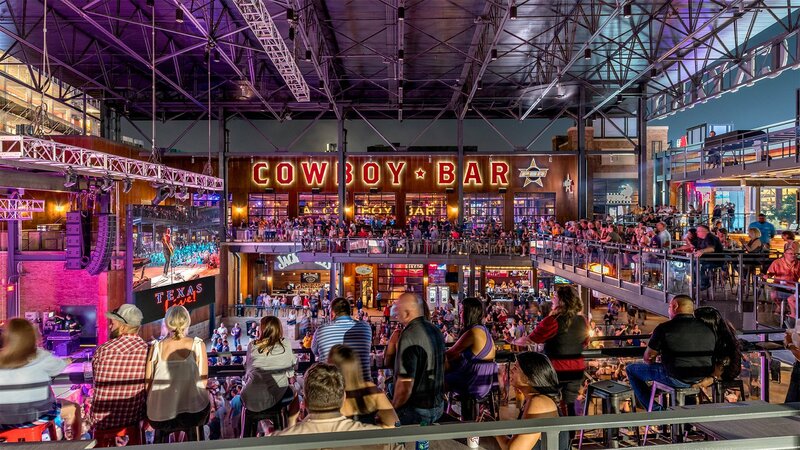 Arena is a multi-level facility that features more than 35,000 square feet in dining and entertainment options. 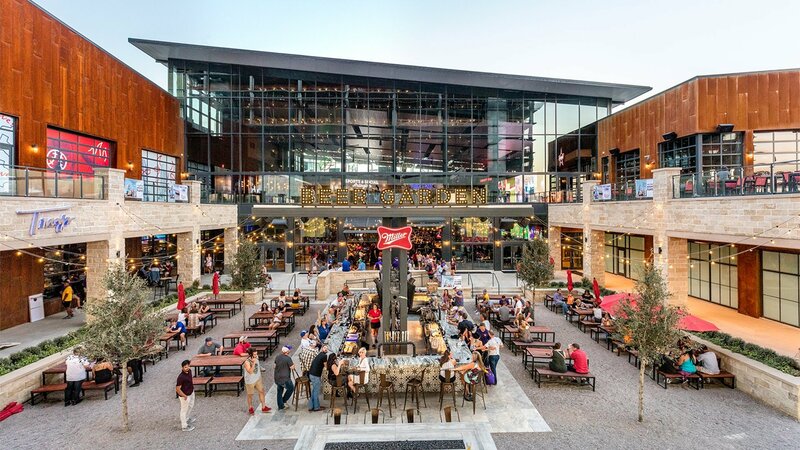 A 70″ LED screen is the centerpiece, a two-story, retractable glass facade flows into a 10,000 square-foot outdoor beer garden. There are also be a performance stage for concerts. 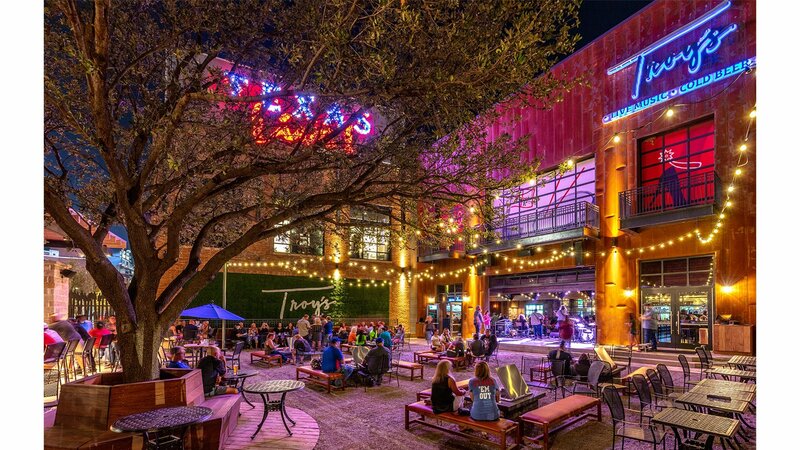 Arlington Backyard is an outdoor pavilion that serves as the “backyard” of Texas Live! With a capacity of 4,000 guests, it has a permanent roof so that it can be used throughout the year. 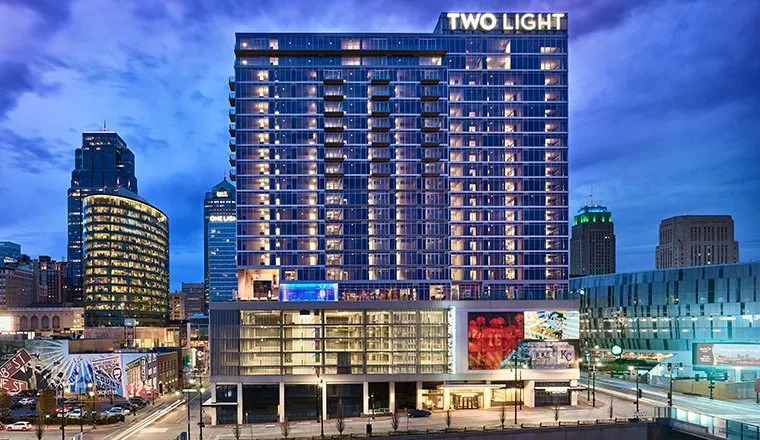 The venue is expected to host more than 250 annual events including cultural activities, art shows, regional and national concerts, charitable functions and community events such as festivals.